Join Griffin McElroy and Nick Robinson as they create a new video game every week – with your help. Got an idea for a game you'd like us to explore? 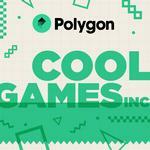 Send it to coolgamesinc@polygon.com for a chance to hear it on the show!